In 2008, when Zach was diagnosed with Medulloblastoma, it was, of course, traumatic news for him and his entire family. But the truth was, it hadn’t spread and there was an 80-85% cure rate, so they approached treatment with faith and hope and Zach did awe- some. In fact, he was nearing his five-year survivor date when the unthinkable happened. “Zach was considered a standard risk,” explained his mom Catherine. “When Dr. Foreman told us it had come back; we were all truly shocked.” Dr. Nicholas Forman, Zach’s oncologist at Children’s Hospital Colorado, explained to her that there wasn’t a standard of care for this scenario. In fact, it was the first relapse he had seen with a “standard risk” patient throughout his career. But even as new tumors were appearing on Zach’s spine and brain, Dr. Foreman did not give up the search for answers. Dr. Foreman, Zach, and Zach’s family kept up hope. “Using gene therapy, we were able to chip Zach’s tumor and compare it to hundreds of other patients’ cells. We can look at twenty thousand cells at once and, in Zach’s case, a set of genes stood out. So then we looked at what treatments could target those exact genes and it ended up being two drugs that had never been tried in combination before for this kind of a case.” To everyone’s delight and surprise, the unique combination of drugs caused an immediate and dramatic reaction. “Literally, in three months, every single one of Zach’s tumors had disappeared,” Dr. Foreman said. “Not just reduced in size—they were absolutely gone.” Despite clean scans in July, Zach continued chemo treatment until December 2015. Zach started to get back to normal life as a high schooler, attending Junior Prom, achieving great scores on his SAT and ACT, and getting his driver’s license in August 2016. Unfortunately, Zach relapsed a second time in September and has been on a immunotherapy clinical trial of Indoximod since January 2017. 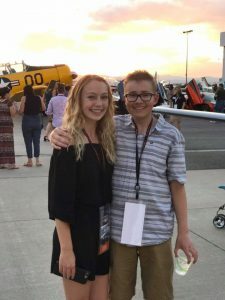 Zach finished his senior year with flying colors despite traveling often for treatment, receiving acceptance letters from several colleges and graduating in May. 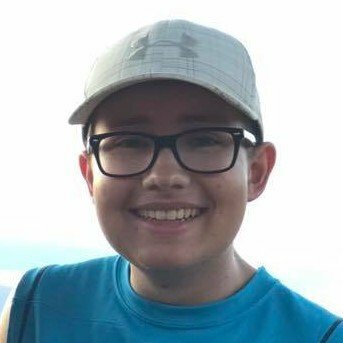 Zach has completed his freshman year at the University of Northern Colorado and continues to do well on the clinical trial.